As a work-from-home-mom of an infant and a pre-schooler, I find that I lose my cool more often than I would like. While it’s easy to excuse my infant’s bad behavior, I am not always as patient with my four and a half year old. Things, especially, get really ugly during meal times when she just refuses to chew or even open her mouth. At times I get angry and frustrated, yell at my daughter only to regret a minute later. I have asked other moms close to me severally whether there are times when they feel like bad moms. All of them have said that they do. As hard as we try not to go over the edge, there are times when it’s really difficult especially when dealing with inconsiderate little beings who know how to push your every button. The fact that I’m in good company does not mean that it is OK to lose my patience with my kids. I would like to be as understanding and mature with my pre-schooler as I am with her younger sister or even their dad. Seems like I am not alone! When one mom explained on Facebook how she is using the rubber band method to parent more positively, the post quickly went viral. Shauna Harvey got the idea from Idealist Mom blog. She decided to try the method in hopes of being less angry and stressed about her 4 year old son’s disrespectful behavior. Her Facebook post about her experiment and the results has been liked over 5,000 times, shared over 11,000 times and has more than 1,000 comments. Wear five rubber bands on the wrist of the hand you use the most from the time your child wakes up to the time they go to bed. Do not leave then on overnight as the idea is to make you aware of the bands. If you leave them on indefinitely, they become a part of you and you no longer take notice. 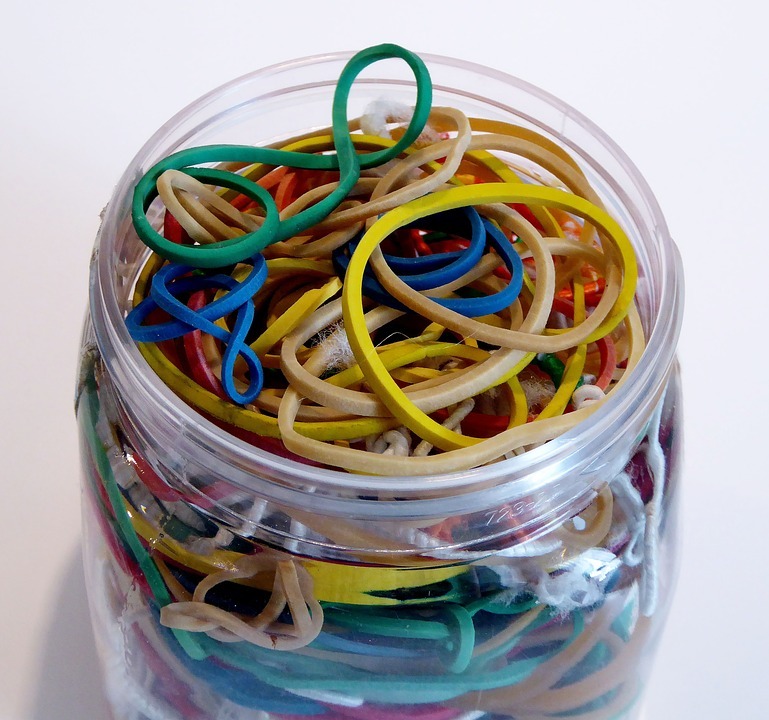 The rubber bands serve as a physical reminder to the parent not to lose his/her cool. Each time you get angry and yell or say something unkind to your child, move one of the rubber bands to the other wrist. You can redeem the rubber band back to the original wrist by doing 5 positive/kind things with the child. Playing, singing, coloring and reading a story to her are some examples of positive things you can do to gain the band back. This is because for every bad reaction, it takes five good/positive reactions to repair the relationship. The goal is to have all five bands on the original wrist at the end of the day. Harvey says that the method has completely changed how she relates with her son. She is now able to deal with his difficult moments calmly and he responds better to her low voice. The rubber bands act as physical reminders that stop us from blowing up, giving us time to calm down and find a way to react better. If you take that extra minute, you will realize that your kid is still a child and learning. S/he is not mature enough to control his/her emotions and the tantrums and bad behavior are not meant to taunt you, rather to demand your attention. I’ll be trying this rubber band parenting method this week and I’ll share the results with you in a future post. I love hearing from you. Have you been in a situation where you completely lost it with your kids? If you’re one of the lucky few that have figured out how to control themselves, what techniques are you using? Would you give the rubber band method a try? Let’s discuss in the comments section below.